You remember Chuck Testa—the California taxidermist who became famous after Rhett & Link made a ludicrous local commercial for his business in 2011 (the spot ended up getting 16 million views). We haven't seen much of Chuck in the past few years, but now he's finally resurfaced—in a comical campaign for Keystone Light. The beer is launching a campaign timed to hunting season called "The Hunt for the Great White Stone," which features a scavenger hunt of sorts involving special Keystone Light cans. To promote it, agency Olson Engage (working with production company Acres) approached Testa—a specialist in dead animals if ever there was one—to do a commercial. But instead, they ended up producing a faux behind-the-scenes video in which Chuck proves comically inept on set as a spokesman. 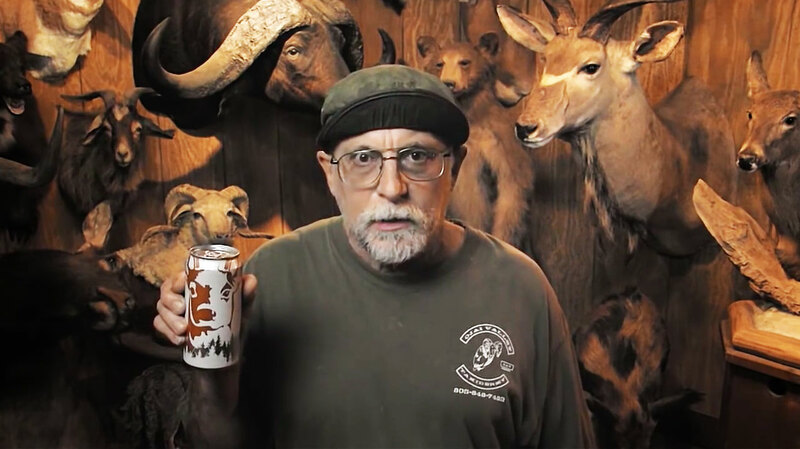 "Our partnership with Chuck Testa started out of a desire to create a pretty simple commercial," Franco Davis, the fictitious director of the fictitious Keystone Light spot, said in a nonfictitious statement. "While that did not go even remotely according to plan, what we got was still something pretty special … I suppose." "I'm so excited to be working with Keystone Light," added Testa. "The commercial shoot went great. Not the biggest fan of the director Franco, and neither were the animals, but I think we got something real special for Keystone Light." The packaging stunt is pretty interesting. The Great White Stone is an elusive white can hiding in select orange multipacks of Keystone Light from September through November. Fans who find the special cans are encouraged to stack standard orange hunting cans and those featuring white antlers on top of it—to create a mount—and post a photo of it to Keystone Light's Facebook page. Below, check out the original Rhett & Link spot with Testa.